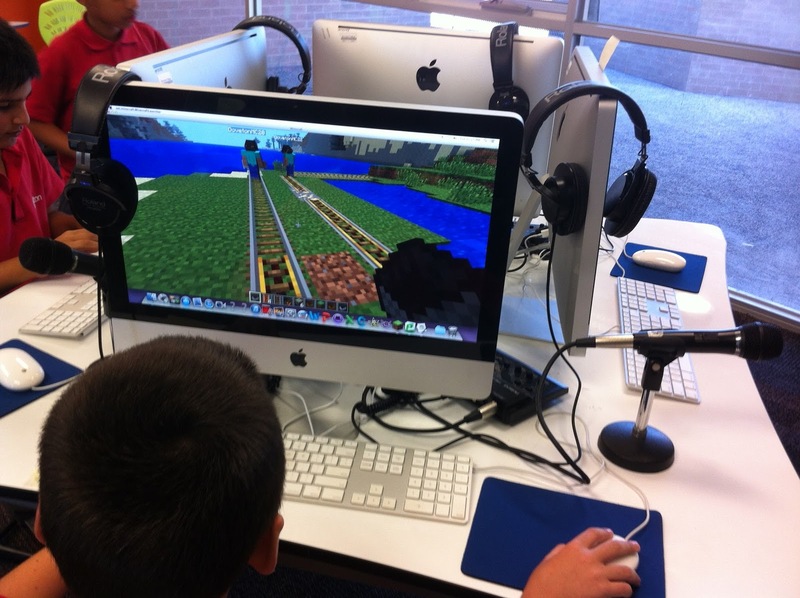 Doveton College runs a program titled Doveton Live Minecraft which currently involved 20 grade 5 students a term working in a students as teachers program. Each session we run has explicit goals and at no time do students get “free play” using the software. Our term course is designed around building co-operative team work. At the start of each class students set and re define goals before moving into Minecraft making sure every student has a task and is participating. At the end of each class the students reflect on the team’s outcomes and efforts. The current project is to devise a language and skills to teach Grade 3 students to use Minecraft. We are now in the second term of this programs. Next year it is our intention to roll out a Minecraft Inquiry based project across the G4-6 teams (180 students). The project as we are discussing at the moment will involve students exploring a problem they devise and using Minecraft as a tool in the answer. We are also planning to run a test experience for a vertically integrated group of students from G4 to Y9 which will hopefully involve a project with students from schools in Sydney, Indonesia, Singapore, New Zealand and PNG. The Doveton blog is a great resource – they have documented their whole process from their planning, technical requirements, reflection, curriculum, class management, student engagement and the kids teaching each other. Even if you are not interested in Minecraft it is a great read about how to use virtual worlds or other digital resources for learning. A lovely student focused project!